If you are ready to shape the digital future and creative and passionate about the media landscape and data-driven business models, Talent Meets Bertelsmann is for you! 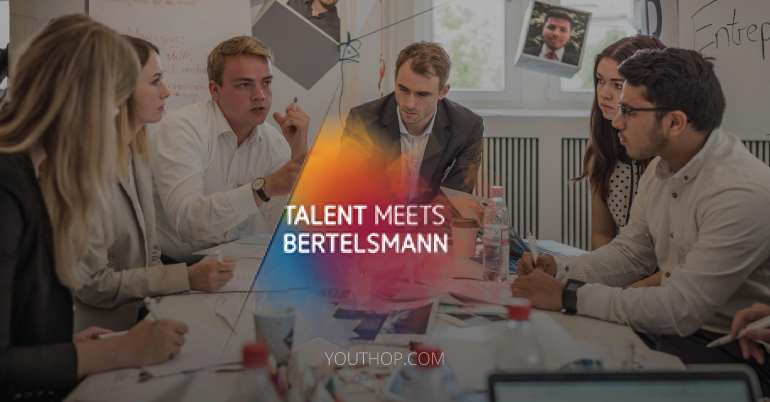 They are looking for talents with entrepreneurial, innovative mindsets to participate in the international networking event, “Talent Meets Bertelsmann 2019,” from June 24 to 26, 2019. Tackle the challenges and opportunities digitalization and big data both bring and participate in demanding workshops. Work hand in hand with experienced Bertelsmann entrepreneurs on key business ideas, and present your results in front of a jury of Bertelsmann executives. Join “Talent Meets Bertelsmann” and gain an in-depth insight into one of the biggest media companies in the world. With well over 119,000 employees, Bertelsmann ranks among the top employers on both the national and international stage. Discover your entry opportunities in their business units worldwide, learn more about career events and find the perfect job. Create Your Own Career! Bertelsmann is a media, services and education company that operates in about 50 countries around the world. It includes broadcaster RTL Group, trade book publisher Penguin Random House, magazine publisher Gruner + Jahr, music company BMG, service provider Arvato, Bertelsmann Printing Group, Bertelsmann Education Group and Bertelsmann Investments, an international network of funds. Bertelsmann stands for entrepreneurship and creativity. This combination promotes first-class media content and innovative service solutions that inspire customers around the world. Use the opportunity to explore the different people working for Bertelsmann and make memories that will last a lifetime. You can look forward to a varied event program: Talent Meets Bertelsmann offers exciting workshops, time for individual career consulting and an unforgettable party with a concert from a BMG talent. Bertelsmann will cover the cost of each participant’s hotel room for two nights, as well as travel expenses up to 300 EUR for students coming from European schools and up to 500 EUR for students from non-European schools. There will be attractive prizes for the best ideas and designs. The winning teams can look forward to Bertelsmann related city trips. Students and graduates with above average academic performance as well as strong analytical and conceptual abilities.